Recently in my area our government has created a bypass which connects one area of the county to another. This bypass is a traffic gift. What once took nearly an half hour to drive now takes 15 to 20 tops. Also noticeable on the drive are all the new subdivisions that have cropped up. New houses, new townhomes and new apartment complexes. What saddens me and should sadden you are all the trees that were cut down to clear the land in order to build new homes. Why should this sadden you? We simply do not understand how our survival on planet Earth is profoundly interconnected and directly related to the life of trees. It is no coincidence that one of the main spiritual or religious symbols in the world is the Tree of Life. 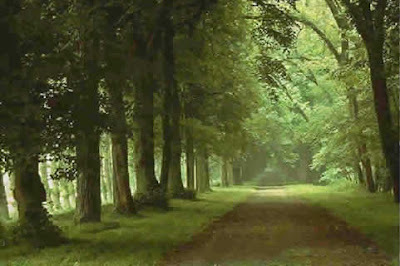 First, our quality of air is directed related to the quantity of trees available for purifying the air that we breathe. What do I mean? Well it is basic biology. Trees take in carbon dioxide and give off oxygen. We in turn breathe in oxygen and....can you feel the connection? Judaism there is the holy day Tu'beshvat....which is celebrated as New Year of Trees. Where one can plant a tree or be more ecologically conscious. The meal or seder acknowledges all the trees give to us. My spiritual path includes honouring Trees and what they do for us to sustain our life. All life on earth. Please be mindful of trees. They give us shelter, food, fuel...and air.